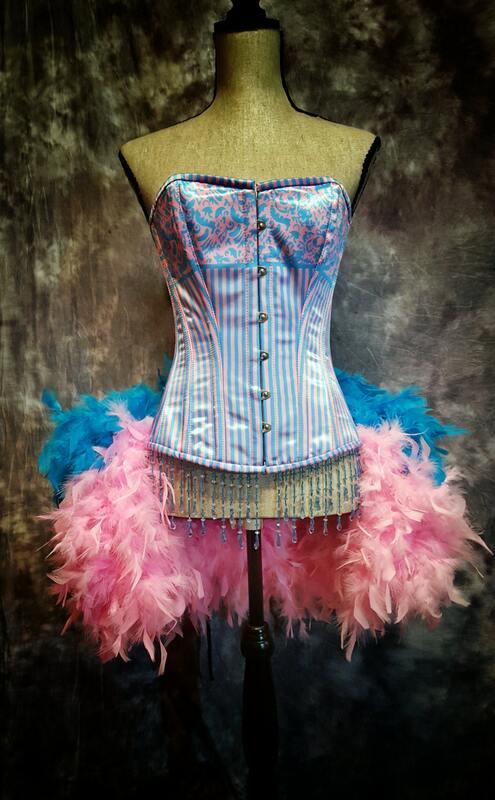 GORGEOUS STEEL BONED BURLESQUE COSTUME CORSET! 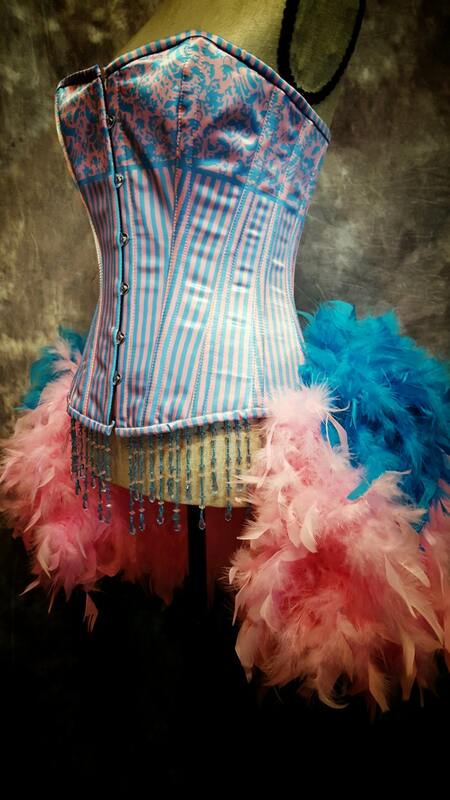 The corset costume is embellished with a layer of light pink and blue fluffy feathers that are sewn on to the back of the corset. 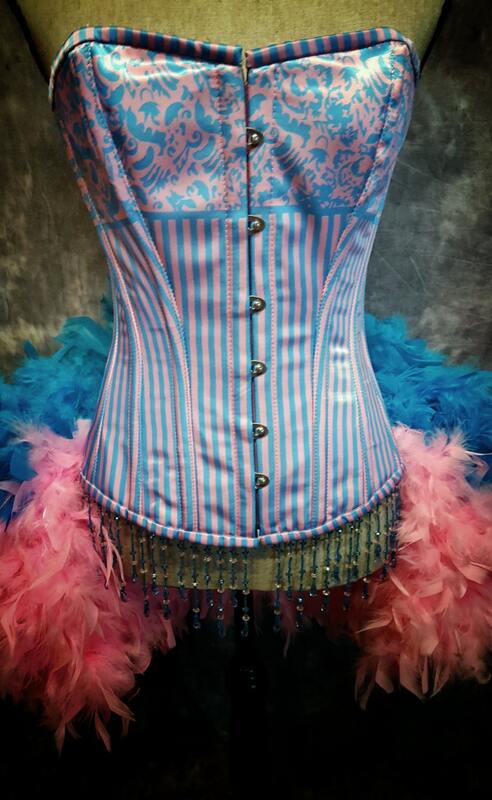 The corset is steel boned and is made of satin. 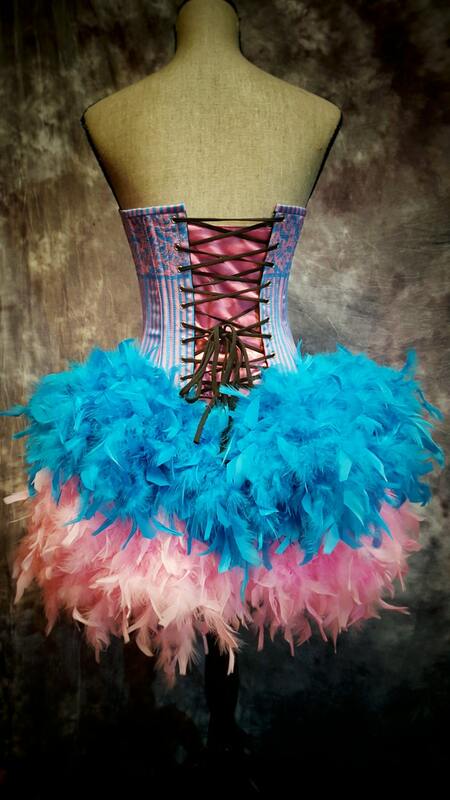 It is very sturdy and can be worn as a training corset. 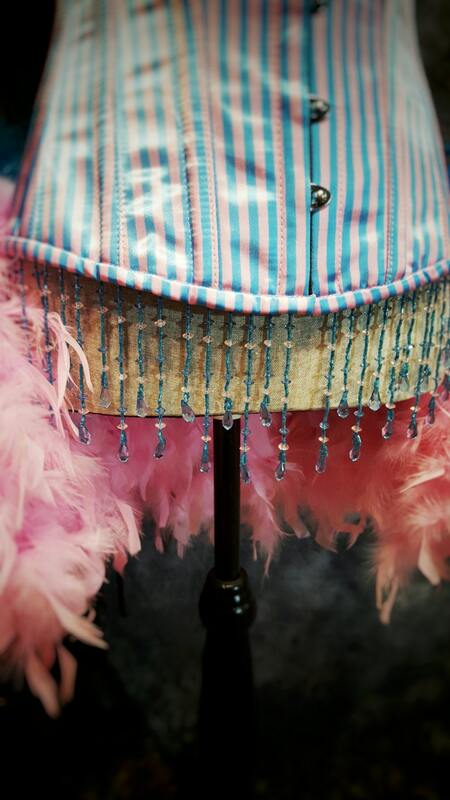 Hand-beaded fringe top off this costume. Making it absolutely gorgeous and so much fun to wear!